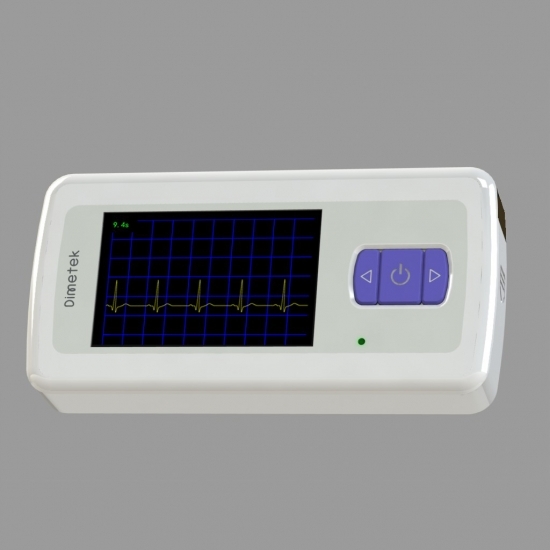 - Multiple selections of recording modes are available, including quick mode for short-period recording and long-period ambulatory monitoring mode with real time visual and audio alarming. - Both direct skin touch and electrode lead connection are supported. - Recording and monitoring for a period of time from 12 seconds up to 32 hours. 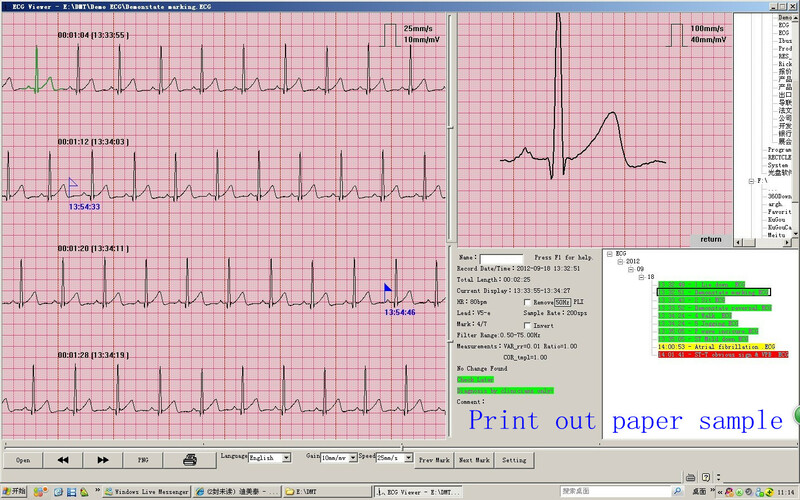 - The recorded ECG waveforms can be reviewed on the device. 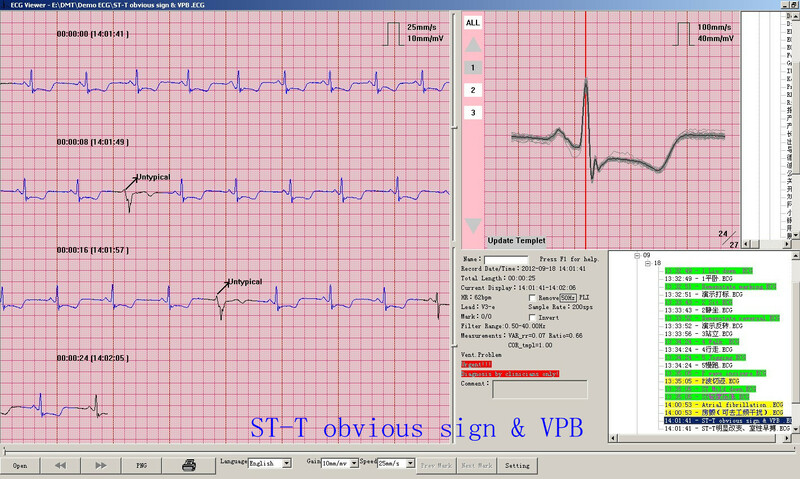 - Cardiac monitoring in any movement with real-time visual and audio alarming is supported. - Data storage of more than 600 hours is a standard option. - USB port for fast data transfer is supported. 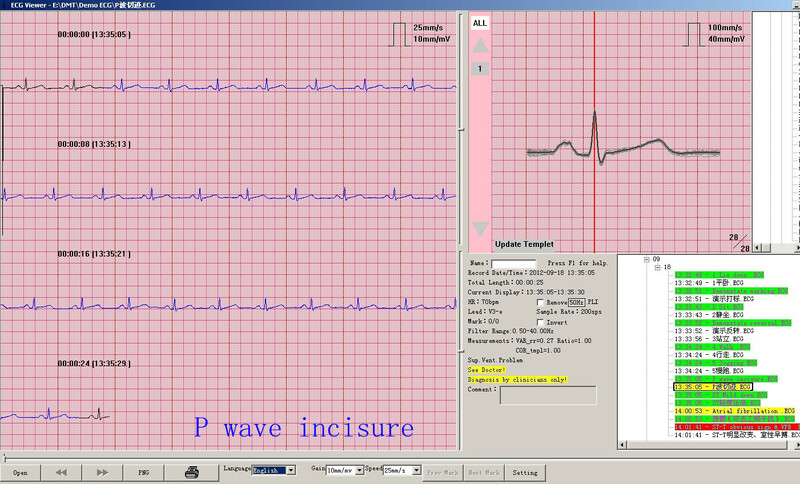 - Built-in cardiac health early warning grading (optional). 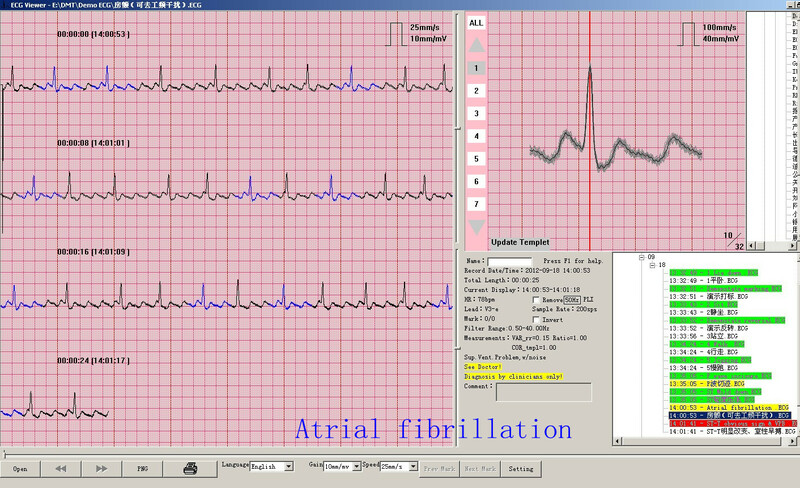 Patients who received cardio surgery. Middle aged and elderly people during exercises.